WINX Wins Four Consecutive W.S. Cox Plates! Her historic win on Cox Plate day has broken the previous record held by Kingston Town, who won three W.S. Cox Plates in the early ‘80s, to become the only horse to achieve this feat in the race’s near 100-year history. Commemorate this remarkable feat forever with Official Winx Memorabilia. There are plenty of pieces to choose from. Secure your piece of racing history before it sells out. 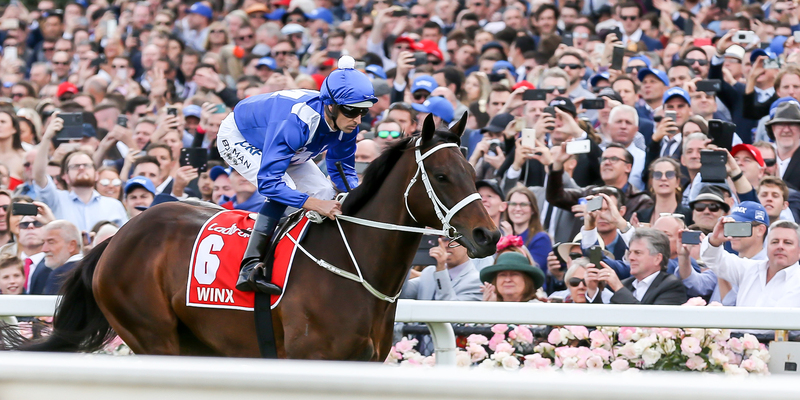 We've compiled a group of images showing some of the memorable Winx moments from the last few years. Check them out to see the colour fashion of Winx's biggest fans. 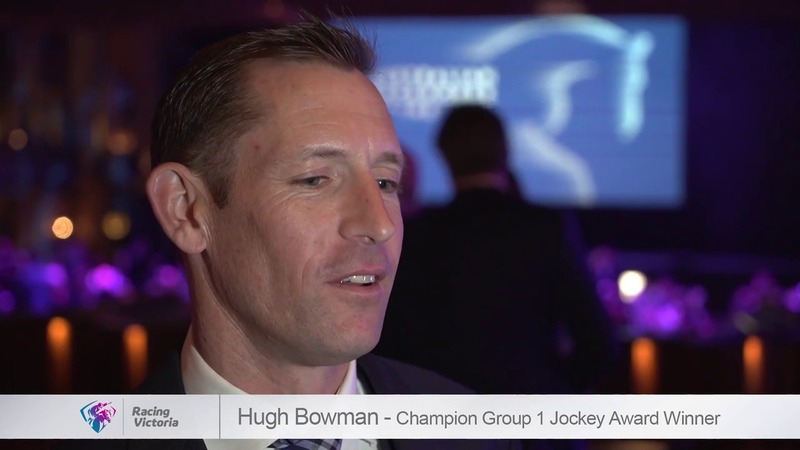 Winx joined Black Caviar and Sunline in the exclusive club of three-time winners of the Australian Racehorse of the Year, having claimed the premier award at a star-studded ceremony at Forum Melbourne on Thursday night. 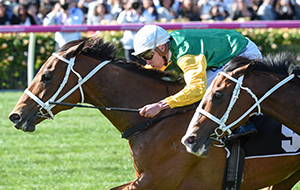 The world’s highest-rated horse took home three prizes to add to her bulging trophy cabinet, having also claimed the 2017/18 Victorian Racehorse of the Year and Champion Middle Distance awards. Her trainer Chris Waller, regular jockey Hugh Bowman and co-owners Peter Tighe, Debbie Kepitis and Richard Treweeke were all on stage to accept the awards on behalf of the mighty mare, who was the runaway winner of all three categories after winning eight straight races during the 2017/18 season – six of them at Group 1 level. Chris Waller again topped the list of Group 1-winning trainers last season, thanks in no small part to his stable star Winx, who claimed no fewer than six wins at the elite level in 2017/18. The darling of Australian racing is bidding to achieve what no other horse has managed in the 98-year history of the W.S. Cox Plate – to win Australasia’s weight-for-age championship four times. 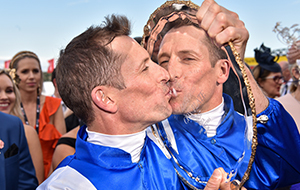 Hugh Bowman was officially crowned the ‘Longines World’s Best Jockey’ in 2017, beating his peers around the world with 142 points, 18 ahead of England’s Ryan Moore in second place.